VedicMaths.Org - 4 - The Vedic numerical code. are introduced to the beautifully unified and easy Vedic methods. 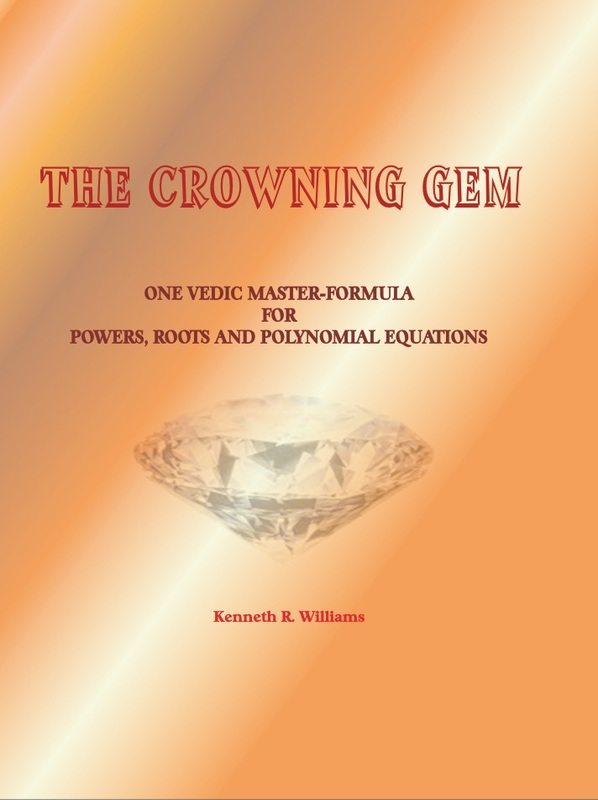 to bring together those working with Vedic Mathematics. you think of this system. Sutras (Mathematics) but which the western scholars of the late nineteenth century were unable to understand. Ksa (or Ksudra) means Zero! consonants only the last consonant counts and vowels do not count at all. Thus 'papa' is 11, 'mama' is 55 and 'mary' is 52 and so on. value of pi to 32 figures. 'dhu' gives 9; 'ra' gives 2; TA gives 6. Together we get 31415926, the first eight figures of pi (3.1415926...). Thus by knowing the code and the hymn you know the value of pi to 32 figures! www.vedicmaths.com (which is for books on Vedic Mathematics). and send us your views. We look forward to hearing from you. few days and you can get a copy at the initial bargain price of 5 UK pounds.